A colourful bundle of four hand-stitched lavender bags.Each bag measures approx. 10cm x 10cm and contains a generous helping of highly fragrant dried Yorkshire Lavender flower heads - 100%. 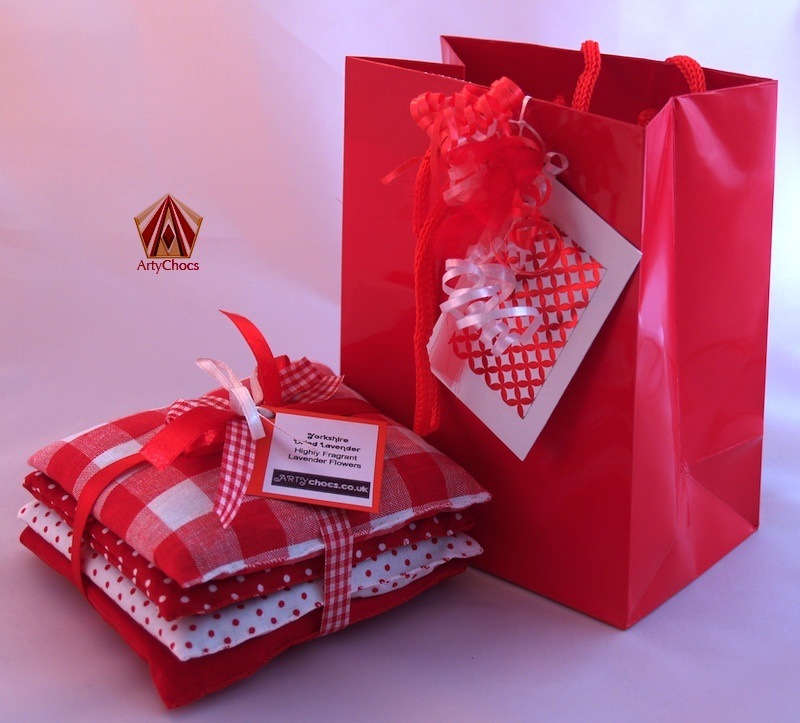 The bundle of four bags is tied with matching ribbons and wrapped in white tissue paper, with a lovely red organza bow. 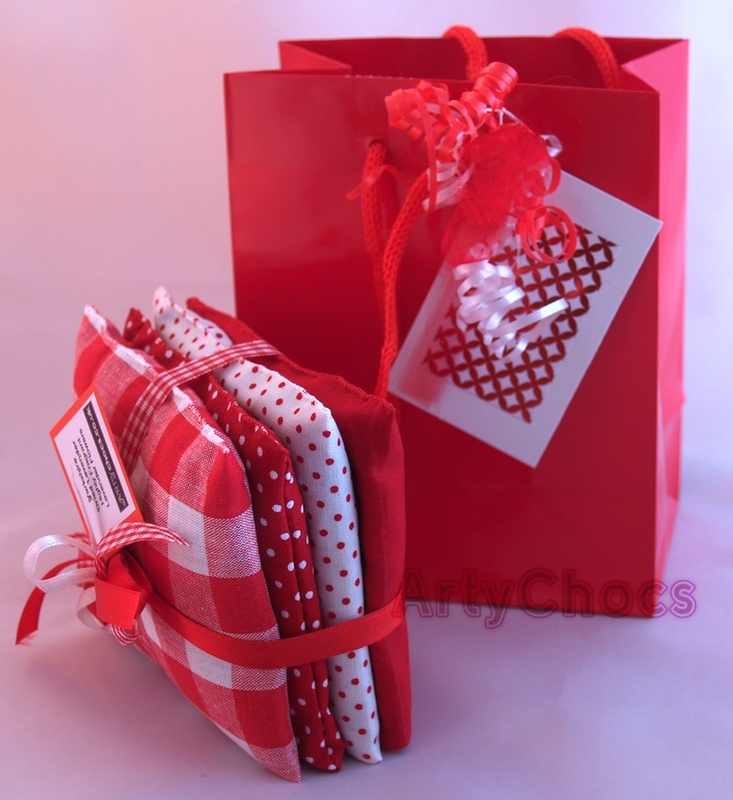 The Lavender Bundle is presented in a red 'Hallmark' Gift Bag measuring 12.5cm wide x 15.5cm high with a 7.5cm gusset. A handmade, complementary Gift Tag is attached. There are many uses for our Yorkshire Lavender Bag; perfect for: your travel case, wardrobe or drawers. Under-pillow, aiding sleep. Dried lavender is well known for its beautiful scent and can help bring quick relief to headaches and stressed minds. In addition, lavender is a natural moth repellent.